Kuala Lumpur, 10 April 2016 – The past year proved to be a rewarding one for International Medical University (IMU) Malaysia, as several of its students showcased their talents on the world stage and garnered a string of accomplishments. For IMU dentistry student Wong Bi Wei, dreams became reality when she was awarded first place in the Dentsply Student Clinician Program 2015. 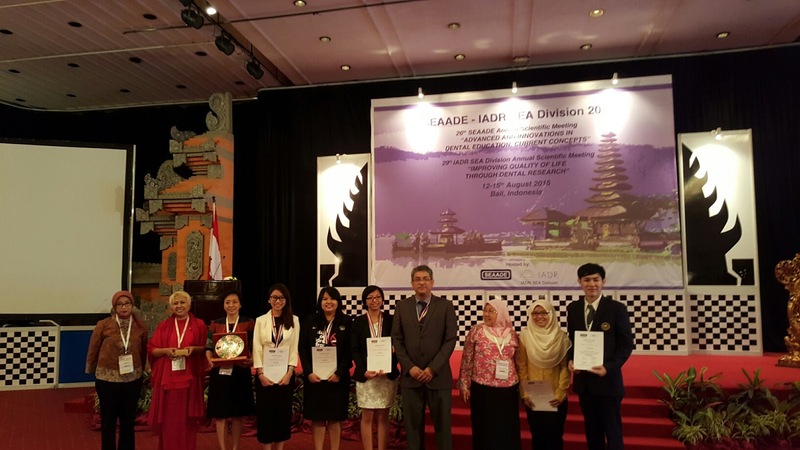 Held in Bali, Indonesia, the award was presented in conjunction with the 29th International Association for Dental Research - Southeast Asian (IADR-SEA) Division Annual Scientific Meeting. This was the second consecutive year that IMU clinched the top spot. Left to right: The terrific trio, Lim Wei Gin, Tan Yen Yee and Tey Shwu Yee, who bagged the Gold at the 3rd Dental Olympics that was held during the 62nd Annual World Dental Congress of the International Association of Dental Students (IADS) in Bangkok, Thailand. For her achievement, Bi Wei gained the golden opportunity of an all-expense-paid trip to attend the American Dental Association Annual Meeting 2016 in Denver, Colorado, USA to present her winning paper. Titled ‘Effect of Bonding Agents and Aging Process on Shear Bond Strengths of Porcelain Repair’, her work also entitled her to join the International Association of Student Clinicians. Hot on the heels of Bi Wei’s success was the terrific trio, Lim Wei Gin, Tan Yen Yee and Tey Shwu Yee, who bagged the Gold at the 3rd Dental Olympics that was held during the 62nd Annual World Dental Congress of the International Association of Dental Students (IADS) in Bangkok, Thailand. 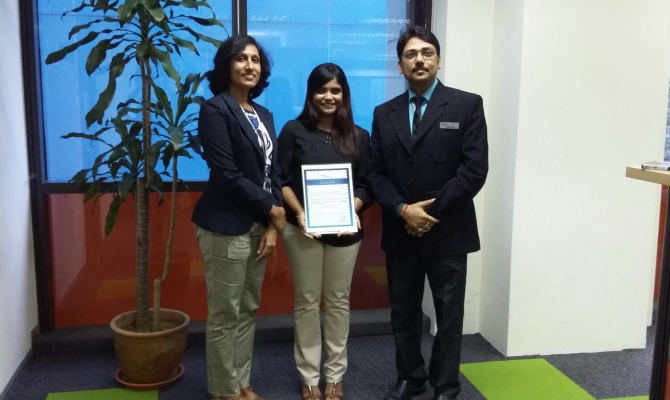 Left to right: Pharmaceutical student and IMU alumnus - Jayshalene Balakrishnan, was presented the Best Poster Award for her work on ‘Skin Infection: An Association between Awareness and Quality of Life among Adults in Petaling District, Malaysia’. Jointly held alongside the FDI World Dental Federation and the Young Dentists Worldwide, the Dental Olympics comprised gruelling dental challenges that included orthodontic wire bending exercise, oral pathologic quizzes, tooth waxing, suturing on artificial leather, and dental speed racing. 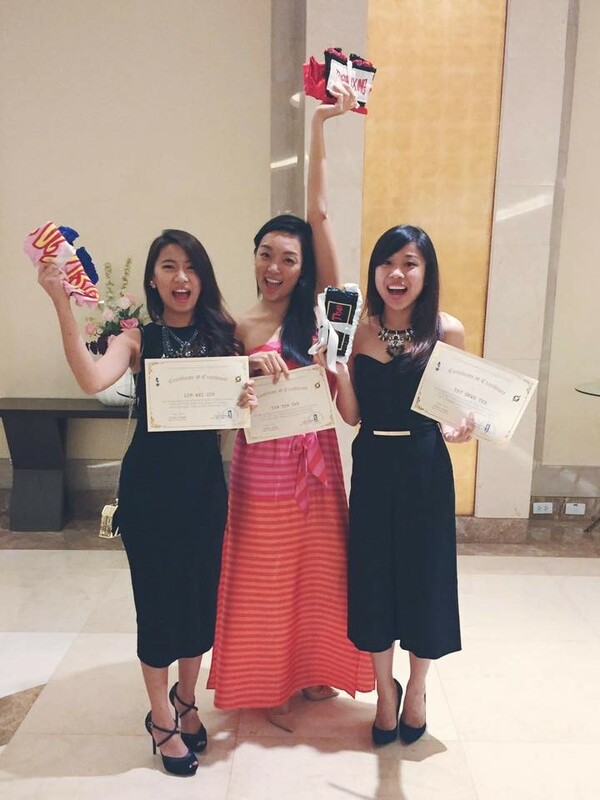 The trio was awarded the grand prize that includes a trip to Portugal to attend a short course in 2016. “We are truly proud and happy to see our students making their mark on the world stage, and for working hard to keep the IMU flag flying high. They are shining examples of our dental programme, which has been innovatively designed to provide early clinical exposure and various forms of learning activities to promote critical reasoning, develop professionalism and cultivate lifelong learning skills,” commented Prof Toh Chooi Gait, Dean of IMU’s School of Dentistry. 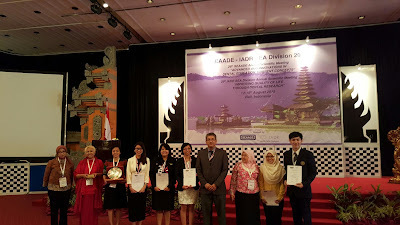 International Association for Dental Research - Southeast Asian (IADR-SEA) Division -Winners group photo. The outstanding achievements of IMU’s dentistry students were equalled by its students from the medicine, pharmacy and nursing schools, who also chalked up some remarkable achievements on local and international soil. Pharmaceutical student and IMU alumnus, Jayshalene Balakrishnan, competed with more than 100 delegate speakers and student participants from 25 countries in the 3rd European Pharma Congress in Valencia, Spain. At the congress, hosted by OMICS International Conference, Jayshalene was presented the Best Poster Award for her work on ‘Skin Infection: An Association between Awareness and Quality of Life among Adults in Petaling District, Malaysia’. Aspiring nurses Lee Wai Han and See En also took home the Best Poster Award in the 4th Global Summit Health Care 2015 International Conference in Dubai, UAE, with an impressive depiction of ‘Pre-gravid Food Intake among Gestational Diabetes Mellitus Mothers in a Selected Hospital in Malaysia’. Fourth from left: Dentistry student Wong Bi Wei’s dreams became reality wFourth from left: Dentistry student Wong Bi Wei’s dreams became reality when she was awarded first place in the Dentsply Student Clinician Program.hen she was awarded first place in the Dentsply Student Clinician Program. Meanwhile at the Negeri Sembilan 2015 Annual Research Day, a team of medical students led by Devalagan a/l Muthulagan won the judges over with their presentation. The seven member strong team comprised fellow students Amit Bhardwaj, Chan Yi-Min, Krishna Kumar, Lee Wei Lun, Nurul Izzati B. Abdul Razak and Wong Wei Shi. Their winning presentation was titled, ‘Prevalence of Needle Stick Injuries and Their Under Reporting Among Healthcare Workers In The department Of Obstetrics and Gynaecology’. 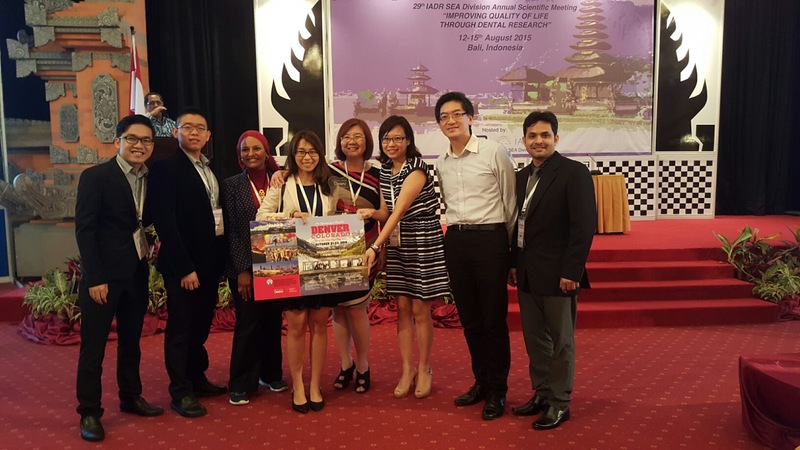 In Bangkok, Thailand, at the 1st International Conference on Pharmacy Education and Research Network of ASEAN, findings of a project conducted by Amy Chong Siew Peng, an IMU Master of Science (MSc) in Molecular Medicine graduate was presented with the Best Poster Award. The research findings will help clinicians tremendously in deciding what nutrients to be included or avoided during chemotherapy or radiotherapy to improve treatment outcomes. Finally, at the World Federation of Chiropractic (WFC) World Spine Day Competition, IMU’s Semester 4 Chiropractic students with the supervision of Dawn Elizabeth Dane took first prize in the category of chiropractic educational institution. Entries were judged on originality, impact and relevance to this year’s World Spine Day theme of “Your Back At Work”. “As an established private medical and health sciences university, IMU has always placed a great deal of importance on carving a holistic educational experience. We make it a practice to integrate education excellence with research and healthcare practice, and some of the ways in which we achieve this is by exposing our students to various local and international competitions and presentations. The testament to our approach is observed in the slew of accomplishments achieved by our students across various fields. At the end of the day, we aspire to produce not only highly-skilled professionals but also well-rounded individuals with respectable values and admirable work ethics,” said Prof Abdul Aziz Baba, Vice Chancellor of IMU Education. With over 24 years of dedicated focus in healthcare education, IMU offers a wide range of courses in the field of Medicine, Pharmacy, Nursing, Nutrition, Dietetics, Pharmaceutical Chemistry, Psychology, Biomedical Science, Chinese Medicine, Chiropractic, Dentistry and Foundation in Science; and both Research and Taught Postgraduate Degrees. Committed to its brand promise, “Delivering the Future of Better Healthcare”, in 2010, IMU became be a fully integrated healthcare institution offering Education, Healthcare services in both medical and complimentary alternative medicine and Research to serve and improve the quality of lives.